In today world user interfaces must meet the demands of an international environment. User Interface (UI) based on the user preferences and targeting a specific group of people can improve the usability, it fulfilled market demand and reduced the service cost. It is very difficult and costly process to localize a user interface before internationalize it. 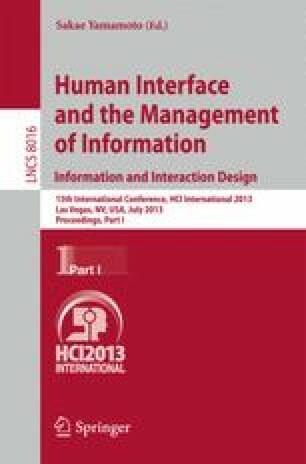 This paper highlights both the verbal and the visual part of the interface that can play a very important role while creating a user interface that aims at being adapted to local user groups. This paper gives an overview of cultural differences such as different color associations, divergent meaning of metaphors as well as different standards concerning typography. The goal of the work is to emphasize the usability of localized user interfaces and guarantee the comfortable and intuitive use for local users.